Dr. Theeravuth joined LawAlliance Limited in 2013. He is outstanding with a highly reliable academic intelligence and researching skill – which have reached out to the clients the most modernized and rational foundations in rendering sophisticated tax advices and planning schemes. He is one among the very few with avant-garde technical knowledges, e.g. e-commerce, telecommunication and digital currencies, which are indivisible from these days tax issues. His solid knowledges have been appreciated, not only by the clients, but also by the government officials with whom he has been dealing in a number of discussions and tax audits. Dr. Theeravuth’s practices include rendering of tax advices on income taxes, indirect taxes and stamp duty matters, and extends to the provision of the advices on the specific issues, such as royalty income classification involving offshore entities, interpretative issue in the oil and gas industry, and the customs duty issues. 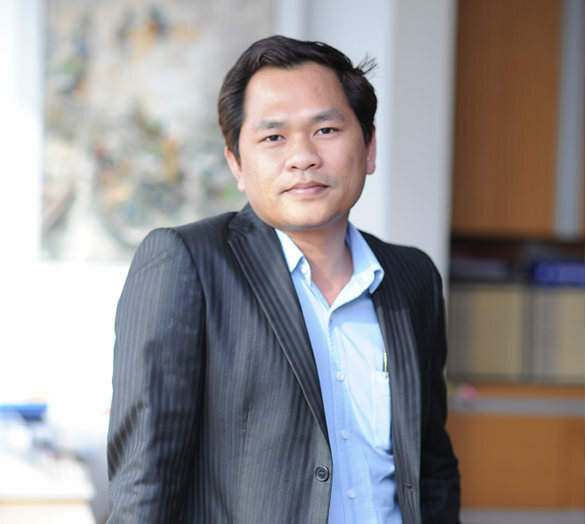 Prior to joining LawAlliance Limited, Dr. Theeravuth was the Legal Expert, Law and Development Research Center at the Faculty of Law, Chulalongkorn University during 2002 to 2007 and being the Lecturer & Deputy Head of the Department of Law, Kasetsat University during 2007 to 2012. He obtained his LL.B., LL.M., and J.S.D from Chulalongkorn University in 2002, 2006 and 2012, respectively.